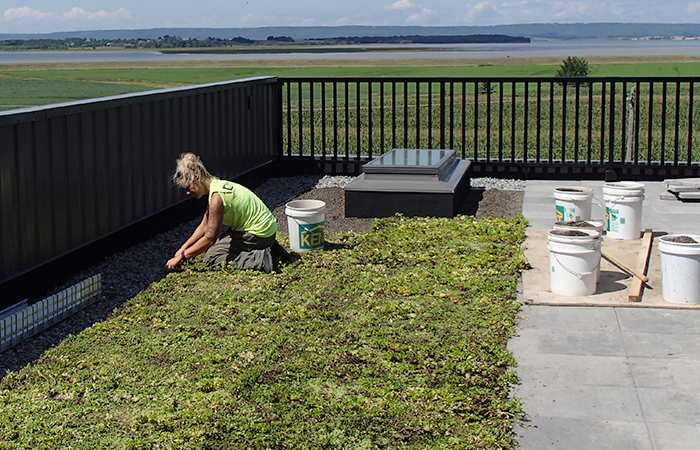 Are you interested in a green roof to improve your home, and make it more environmentally friendly? 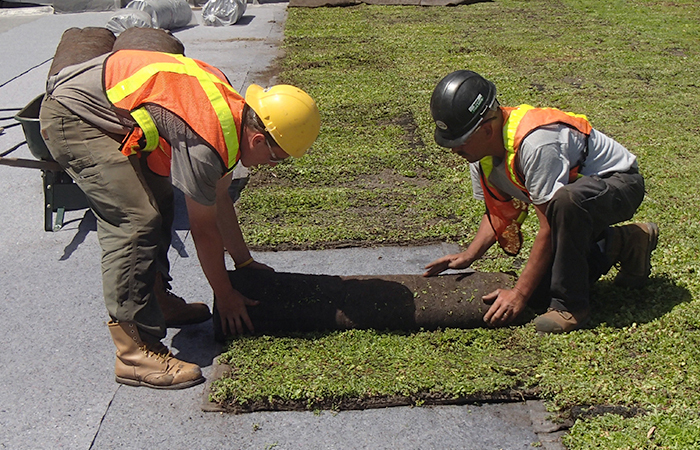 Rhyno’s Landscaping installs and maintains a wide variety of vegetated roof systems from ultra-lightweight to highly elaborate green roof gardens. 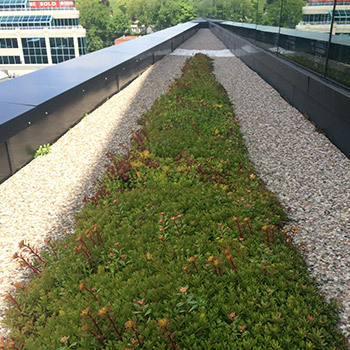 The University of Michigan has compared the expected life-cycle costs and benefits of green roofs versus conventional roofs of the same size, and found that while a green roof costs approximately 25% more to install, it saves close to 50% of the initial investment over its lifetime. Nearly two-thirds of those savings come from reduced energy use. 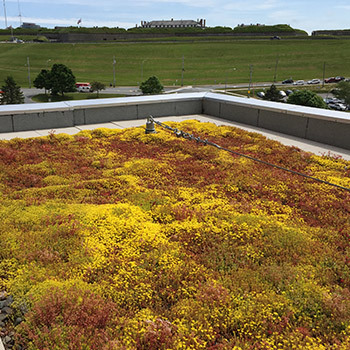 Additional savings come from improved storm water management, and public health benefits of absorbing nitrogen oxides and mitigating air pollution. 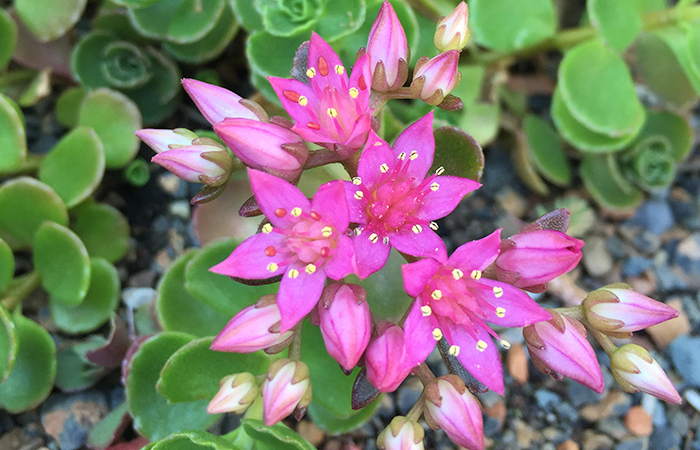 are made of lightweight, hardy groundcovers, and are easy to remove and maintain. 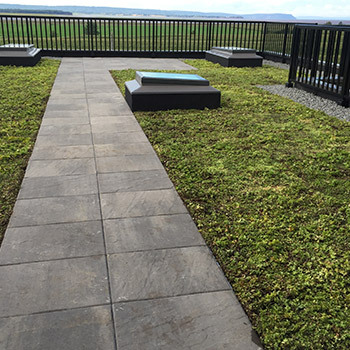 have a deeper system build-up and can include beautifully designed rooftop gardens in addition to hardy groundcovers. 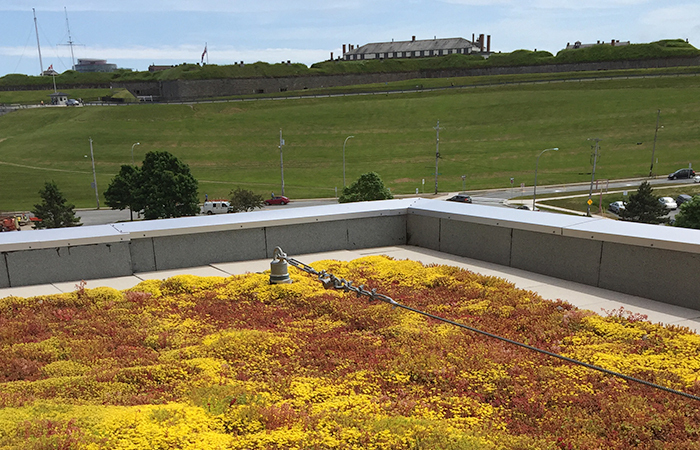 give the building a way to manage grey water. 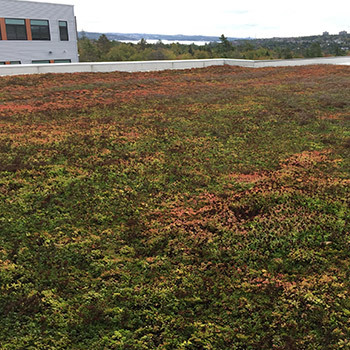 It also makes buildings more efficient and profitable over time.